A decade or two ago, life was simpler for teens who didn’t like their looks. Girls pushed socks under their sweaters, and awkward, acne-faced boys hid behind shaggy bangs. And for better or worse, kids grew out of or adapted to their bodies. These days, more youngsters are altering the body parts that give them angst by going under the knife or laser or lipo tube to get the look they want. According to the American Society for Aesthetic Plastic Surgery, 160,283 children 18 and under had cosmetic interventions in 2008. The figure was even higher in 2007, tallying 205,119, but industry experts say a slowing economy probably forced the numbers down in 2008. In 2000, the number was just 145,094. Those under 18 who opt for such procedures are not only children with cleft palates or disfiguring birthmarks. Some children are having more controversial procedures, such as “Asian eye” surgery to widen the appearance of eyes in people of Asian descent. But for the most part, these are otherwise healthy kids looking to improve an awkward but functional feature, such as a large nose or small breasts, says Donn Chatham, a plastic surgeon in Louisville and president of the American Academy of Facial Plastic and Reconstructive Surgery. “The kids I see, their desire is almost uniformly to be normal, non-deviant. Kids don’t want to stand out in a negative way,” says Gerald Pitman, a plastic surgeon in New York City. Kate Deleveileuse, 21, had 7 pounds of fat removed in a liposuction procedure on her calves at age 16. Many parents and cosmetic surgeons believe that if the technology is there and a child would benefit emotionally, there is no harm done. Others are not so sure. “One of the challenges is that there is not a lot of evidence that it improves psychosocial well-being. The goal is admirable, right? Better lives. The question is: Does it work and is it necessary?” says Alice Dreger, professor of clinical medical humanities and bioethics at the Feinberg School of Medicine at Northwestern University. What constitutes “medically necessary” when it comes to cosmetic surgery and children is a gray area, says pediatric plastic surgeon David Staffenberg, chief of plastic and reconstructive surgery at Montefiore Medical Center and Albert Einstein College of Medicine in New York. Though some say certain procedures, such as breast surgery, aren’t needed to function better, others argue that if a child’s psychological well-being is enhanced, then the procedure truly is medical in nature. “I never know whether people are on the same page when they say ‘medically necessary,’ ” Staffenberg says. To one person, the term may refer to a life-threatening condition, while another may consider it something that interferes with daily activities or a healthy self-image, he says. Limited guidelines for pediatric plastic surgeons and scant research on the benefits and drawbacks of cosmetic surgery in kids complicate the debate. “We need to do better studies,” says Brian Labow, pediatric plastic surgeon at Children’s Hospital Boston and director of the Adolescent Breast Clinic, where adolescents with benign breast disorders — boys with too much breast tissue, for example — are evaluated by a range of medical experts and sometimes have surgical correction. 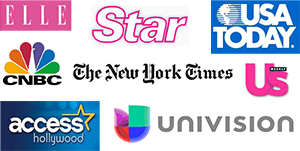 “It’s very much an ad hoc system right now. No one has the data. We do not know the impact of these ‘benign’ conditions on kids. The suggestion is that these adolescents can be really devastated,” Labow says. Like others in his field, Staffenberg says only a small percentage of the surgeries he conducts are for aesthetic reasons alone. But he says there is a place for these procedures in his practice or he would not perform them. “Children who are looked upon by their peers or teachers as something different from other kids … can experience things that really interfere with their development,” he says — for example, a child with no ear. Ryan Cunningham was born without an outer ear but with perfect hearing. His parents asked Staffenberg to build one for their son, 8, after his mother heard a peer pointing out his lack of the feature during a playdate. “He never said anything about it before, but now he says, ‘Mommy, thank you, thank you,’ ” says Carolina Cunningham of Scarsdale, N.Y., who does not regret the three operations involved. In other cases, it’s the child who drives the choice. When Kate Deleveileuse was 16, she asked her parents whether she could have liposuction on her calves. For years, her lower legs had made her self-conscious and limited her fashion choices. Her mom, Mary Lou Fermo, says that her 5-foot, 10-inch daughter’s weight was normal but that she’d always been heavy below the knees. Fermo said she struggled with the decision. “I did all my research. There were risks, and I thought if something happens to my 16-year-old-daughter, they’d say about me, ‘What kind of nut was she?’ ” Fermo says. The range of procedures performed on kids spans everything from Botox injections to laser hair removal to more complex procedures such as breast augmentations, rhinoplasty and Asian eyelid surgery, called blepharoplasty. Blepharoplasty — performed on 369 young people last year — is a particularly controversial procedure, according to an essay called “Eyes Wide Open: Surgery to Westernize the Eyes of an Asian Child,” published in the report on cosmetic plastic surgery in children by the Hastings Center for Bioethics this year. Blepharoplasty adds an upper eyelid crease above the eyelashes, a fold many people of Asian descent lack. The surgery widens the eye. Though critics of the procedure have difficulty swallowing the idea that a person of Asian descent would deny their cultural heritage by Anglicizing the shape of their eyes, facial plastic surgeon Min Ahn, medical director of the Aesthetic Wellness Center in Westborough, Mass., says that why Asians have the procedure is misunderstood. “Asian people pursuing eye surgery aren’t trying to look more Western or Caucasian. That’s a myth. There is a cultural correlation with certain facial features and the person’s underlying personality and characteristics, even their potential for future success,” Ahn says. Unusual cases aside, why are otherwise healthy children asking for physical alterations? Since when is a big bottom or small breasts not OK in a 16-year-old? The reasons vary, Chatham says. Some parents allow children to do it to avoid getting teased or bullied for their looks. “Teens are not little adults, but they also have desires to look reasonably attractive and sometimes want to be beautiful,” he says. For many patients, a more “normal” feature can lift self-esteem, they say. Dara Reiter, 23, a New York City public relations specialist, says she was born with her dad’s nose. A diminutive 5-foot-1, Reiter says, “My nose was just too big for my face.” Teasing from boys didn’t help, either. So on her 14th birthday, the Bergen County, N.J., native had rhinoplasty. There’s less of a taboo about plastic surgery than ever before because of reality shows focusing on it and more celebrities who acknowledge they have had it, Chatham says, so children know it’s an option. And today’s parents are more willing to consider it for their kids. “Boomer parents may themselves even be undergoing cosmetic surgery and may feel for our children that it’s not such a stretch,” he says. Pediatric plastic surgeons say they vet their patients carefully, making sure eating disorders are not at play. And they watch closely to be sure it’s the child’s choice, not a pressuring parent or boyfriend or the desire to look like a particular celebrity. “It’s treacherous, that age group, and I don’t want to support something going on in an unhealthy way,” says Stephen Colen, chairman of the department of plastic surgery at Hackensack University Medical Center. He has performed about a dozen breast augmentations in women under 18 in the past five years. 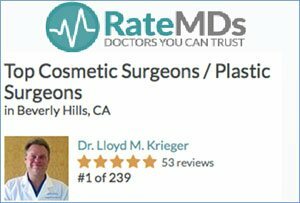 Lloyd Krieger, medical director of Rodeo Drive Plastic Surgery in Beverly Hills, says his practice gets many calls from youngsters. “We turn away a good two-thirds of them after a phone evaluation,” he says. For some surgeons, certain procedures are off-limits in younger patients. Washington, D.C., dermatologist and cosmetic and laser surgeon Hema Sundaram says. “No cosmetic Botox, no fillers, no lipo, no Brazilian bikini waxes and no laser skin rejuvenation for children” — nothing that aims to make inappropriately adultlike or sexual changes. And what about the theory that scars and physical flaws build character and make someone stronger in the face of adversity? asks Dreger of Northwestern University. It’s a huge question, Chatham says. “Should a person learn to live with ‘how God made them’ and persevere and overcome a handicap?” he asks. Now grown and with more perspective, some patients wonder whether their youthful operations were really necessary. Heather Locke says being a flat-chested cheerleader from Dallas was stressful at the time, so at 17, with her mother’s blessing, she had her breasts augmented — from a 34A to a 34D bra size. Aviva Katz, a pediatric surgeon and medical ethicist at Children’s Hospital of Pittsburgh of UPMC, and the mother of twin 5-year-old daughters, says that in theory, it’s all very nice to say it would be best if we could raise our children without the expectations of appearance. “You want them to feel good and whole within themselves without having the body that looks back at them in the mirror be a model,” she says. But that’s a challenge when we live in a world with TV, movies and magazines, Katz says. “My biggest concern is that we take away an opportunity for kids to choose for themselves, and I don’t want to see that happening. We want to as much as possible encourage our kids that there’s so much more to life than the appearance of their breasts or nose,” Katz says. And as children continue to file by images of Victoria’s Secret models in mall windows and clamor to see films featuring the perfect-skinned, chiseled Hollywood teen elite, the debate will continue.